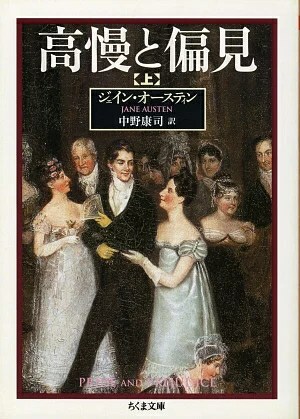 Since seeing the Hebrew cover of Pride and Prejudice, I have become slightly fascinated with Pride and Prejudice covers from other countries. And when I say “foreign” I basically mean anywhere that doesn’t speak English. The way the titles look so different, but you can recognise the essence of Regency on (most of) them. I’ve narrowed my top ten down to this next list, but expect to see several more cropping up in some more posts (I have a massive collection of them to use, and for you to look forward to!). I have a sneaking suspicion that I have seen this cover somewhere before, and I can see a whisper of the English at the bottom of the image, and hence it only makes 10th on my list. The language looks gorgeous though.